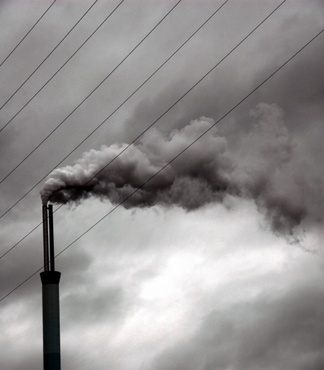 There are numerous diseases that may be caused by air pollution. According to the National Institute of Environmental Health Sciences or NIEHS--a division of the National Institutes of Health--long-term exposure to air pollutants boosts a person&#039;s risk for respiratory illnesses. NIEHS notes that children and the elderly are especially vulnerable to the detrimental health effects of ozone, fine particulate matter and other airborne toxicants. Pollution-related diseases range from mild to severe, and can significantly affect a person&#039;s quality of life. Asthma is a disease that may be caused by air pollution. According to the Natural Resources Defense Council or NRDC—a non-profit international environmental advocacy group based in New York City, New York—asthma is a chronic, occasionally debilitating inflammatory disease of the airways that may be caused by air pollution from cars, factories or power plants. The NRDC states that the following air pollutants are common triggers of asthma: ground level ozone, sulfur dioxide, fine particulate matter and nitrogen oxide. The Centers for Disease Control and Prevention or CDC states that another important trigger for asthma attacks is environmental or secondhand tobacco smoke. The CDC suggests that parents, friends and relatives of children with asthma should attempt to quit smoking and should never smoke in proximity to a child or person with asthma, as this could cause an asthma attack. Chronic obstructive pulmonary disorder or COPD is a disease that may be caused by air pollution. The U.S. National Library of Medicine and the National Institutes of Health or NIH state that, with COPD, a person's airways and air sacs lose their shape and become distended or floppy, and that chronic bronchitis and emphysema are common COPDs. According to the American Lung Association or ALA, long-term exposure to air pollution—especially automobile exhaust—boosts women's risk for lower lung function, COPD and dying prematurely, and truck drivers, dockworkers and railroad workers may be more susceptible to lung cancer-, heart- and COPD-related death due to chronic exposure to diesel emissions while on the job. The ALA also notes that even low levels of ozone and fine particulate matter increase a person's risk of hospitalization for pneumonia and COPD. Lung cancer is a disease that may be caused by air pollution. According to LungCancer.org, lung cancer is characterized by the uncontrolled growth of abnormal cells in one or both lungs. Over time, the abnormal cells can develop into tumors and impair the lung's primary function: to supply the blood, and therefore the body, with oxygen. LungCancer.org states that there are two principle types of lung cancer: non-small cell lung cancer or NSCLC and small cell lung cancer or SCLC. According to a 2002 study by C. Arden Pope III, Ph.D. and colleagues published in "The Journal of the American Medical Association," long-term exposure to combustion-generated fine particulate matter poses a significant risk for cardiopulmoary and lung cancer mortality. A 2000 study by Fredrik Nyberg and colleagues published in the journal "Epidemiology" concludes that urban air pollution boosts lung cancer risk, and that motor vehicle emissions may be particularly problematic.